Do you struggle to attract your ideal client to your practice? Do you know how to speak the language of your ideal client? Are you even aware of who your ideal client is? 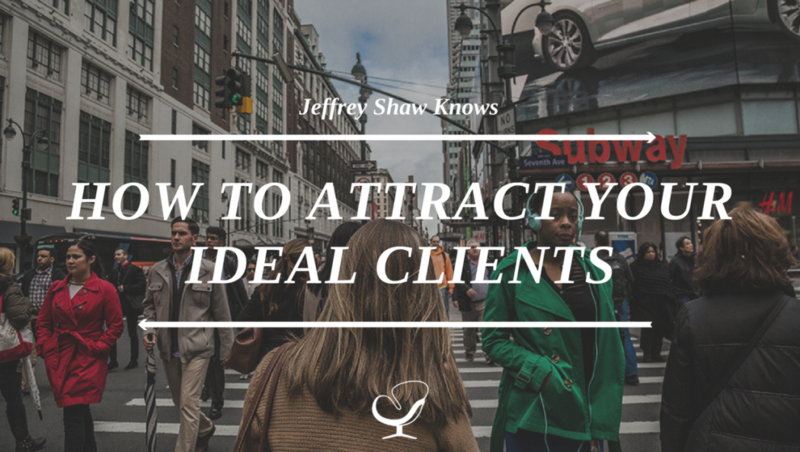 In this episode, Joe Sanok speaks with Jeffrey Shaw about how to attract your ideal clients. Do you ever wonder if you’re doing the right phase of steps for your phase of practice? Do you know that you’re using your time most efficiently, for where you should be at with your practice to grow and scale and get to that next level? I wasted a lot of time on things that I shouldn’t of been working on. And, that’s why I put together two email courses that are totally free. One for people that are just in that start-up phase and one for the folks that are in that growth and scaling phase. Head on over to practiceofthepractice.com/start, if you’re just getting started. And, if you’re growing a practice and scaling it, head on over to practiceofthepractice.com/grow. With a social media audience of more than 100,000, Jeffrey’s commitment to promoting your show helps you reach new listeners. Jeffrey transitioned from being a photographer to a coach. He had his own coach for seven years and, when his coach retired, he decided to become one. Yet, he’s always been interested in personal development and self-help. 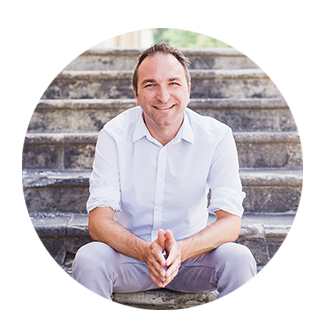 Having been an entrepreneur for years, he decided to combine the two and start up his own coaching business. In this episode, Jeffrey Shaws provides an overview of his book, Lingo, which seeks to help you speak the language of your ideal client. He mentions the 5-step process on how to include empathy into your marketing. Jeffrey speaks directly to therapists about how to market themselves and their practice. There is a difference between acknowledged need and deeper need. [START 00:00:00.02] Joe Sanok: Do you ever wonder, if you are doing the right steps for your phase of practice. Do you know that you are using your time most efficiently for where you should be at with your practice to grow and scale and get to that next level? And for me, I spend a lot of time that I wasted, things I shouldn’t have been working at. And that’s why I put together two email courses that are totally free. One for people that are just in their startup phase and one for the folks that are in their growth and scaling phase. Head on over to www.practiceofthepractice.com/start if you are just getting started and if you are growing a practice and scaling it, head on over to www.practiceofthepractice.com/grow. So it’s practiceofthepractice.com/start or /grow. See you there. This is the Practice of the Practice Podcast with Joe Sanok, session #277. [MUSIC] [INTRODUCTION] Joe Sanok: Welcome to the Practice of the Practice Podcast. I am Joe Sanok, your host here in the radio center two building in downtown Traverse City. Love it here. So excited [00:01:13.28] Northern Michigan. I want to first give a shout at some people that gave us some reviews on iTunes. Want to read a couple of these. Christopher Lochhead, one of our guests actually said “Joe Sanok has a big heart and IQ to go with it. Practice of the practice delivers actionable advice in a wonderful package. A must subscribe. Also we got five stars from Jen Taylor Play Therapy, and she said, “My first introduction to Joe’s advice was his Blog Sprint course which was so helpful. This podcast addresses all of the fears and issues related to the private practice. I just wish I had started listening to him sooner.” And then we also have one that’s from Karen John saying, “This is simply the best.” Gave us five stars. “Joe Sanok provides very helpful information that keeps the private practice counselor in the know. Wish I could rate it 10 stars.” Well, thank you so much for those reviews. We have over 87 reviews. I think we have 87. So when you review, we are going to be over 87. You can go over into iTunes and just rate and review us. That’s one of the best ways to let iTunes know that you absolutely love this podcast. And we just love helping you guys. It’s just amazing just hearing about your stories and how you’re growing. 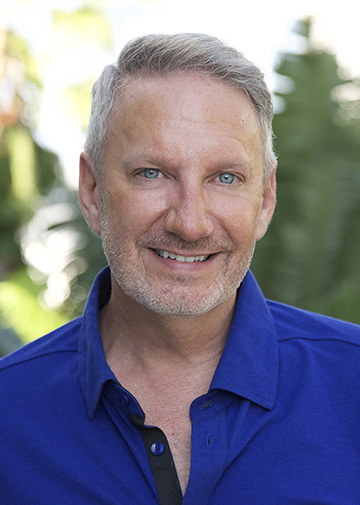 And today on the Practice of the Practice podcast we have Jeffrey Shaw who is going to talk with us all about how to attract your ideal client, how do you use good language around that, speak their lingo and authentically connect with them. So without any further ado, I give you Jeffrey Shaw. [MUSIC] [WELCOMING JEFFREY SHAW AND AN INTRODUCTION] Joe Sanok: Well, today on the Practice of the Practice Podcast, we have Jeffrey Shaw. Jeffrey has a keen eye for seeing things other don’t see. He has been known as the lingo guy and he is the go-to photographer for exclusive clientele for over 30 years. His portraits have been in the Oprah show, CBS news, O Magazine, People Magazine, and Jeffrey uses these skills to see and sense what business don’t see. Jeffrey, I’m so excited to have you on the Practice of the Practice Podcast today. Jeffrey Shaw: [00:03:17.28] Joe, I am very glad to be here with you. Thank you. Joe Sanok: Yeah, well. We have a bunch of counselors in private practice that listen and tune into this podcast and they are used to me bringing in people that are outside of our field, but often bring tons of value. Tell us a little bit about your work. Jeffrey Shaw: Yeah [00:03:34.16] really excited to speak to your audience, your community because I get it. You know, I went from, I transitioned from being a photographer to a coach and you know coaching and counseling are very different fields. And you guys have much bigger education. But, it was such a major… here I was so successful as a photographer, but when I transitioned to being a coach, it’s like, wow, it’s a very different way of being in business. Although it may not seem it, I actually feel like I do speak the secret language of your audience. So I’m really excited to be here, and certainly a different conversation that we’ll be able to have around my book “Lingo.” So I am really excited to kind of share with your community. 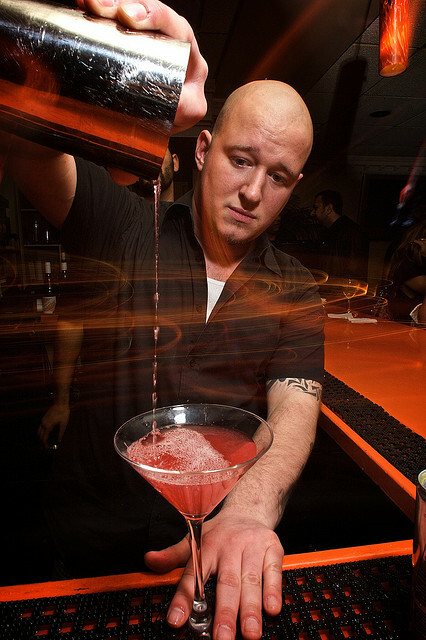 Joe Sanok: Well, take me back to that time when you’re highly skilled photographer. You’re in all these great magazines. You’re kind of the top of your game. Was there a moment that you said, “You know what, I should be a coach.” Or was it more gradual than that? Jeffrey Shaw: It’s a little more gradual. I had had a coach for 7 years. I hired my first business coach in 1999, kind of [00:04:36.11] cool [00:04:37.04] anybody talked about it, and in fact I don’t think I told anybody I had a business coach, could have seen, you know, kind of have seemed weird like why did needed that. People they didn’t know what it was in 1999. Joe Sanok: Now it’s a status symbol. Jeffrey Shaw: Exactly. But back then it was like I did joke, I had a business coach – two things you didn’t tell me [00:04:52.06]. Joe Sanok: Were you drinking green smoothies also? Jeffrey Shaw: I probably was. I just had one actually a moment ago [00:04:57.11]. Joe Sanok: No, I start every morning with a green smoothie. Jeffrey Shaw: Exactly. All the things that are, you know, common now 16, 17, 18 years ago, you even didn’t talk about these things. But so for me it was somewhat gradual. I had this awesome business coach. I spoke to that man three times a month for seven years. Jeffrey Shaw: And I loved the value of having that kind of that support and the process of it. So when he retired, that actually was the impetus for me to become a coach, but I have to say – it really tapped into who I’ve been my whole life. I mean I was a self-help junkie. At 12 years old, reading Wayne Dyer and people like that, reading their books and hiding them from my family because I knew they would think I was weird. So I have always loved personal transformation, personal development, and then because I was an entrepreneur for so many years, I realized what I really love is the intersection between personal development and being an entrepreneur, being in business [00:05:54.05] because that intersection is the gold because as I always say being an entrepreneur is like personal development on steroids. Joe Sanok: [00:06:03.27] Jeffrey, that’s why I am so excited to have you on the show today because we in September did the World Changers Challenge where we had over 500 therapists write e-books in that month. Back in June, we went after some big ideas to change the world and so this is all… for me you’re speaking my language because that personal development, challenging yourself, getting to kind of new levels of insight in evolution, that’s as much [00:06:29.06] found more a part of kind of who I am and who I think this audience is, more than even just like the business development and making more money. [TRADITIONAL WAY OF BUSINESS VERSUS A DIFFERENT WAY AS SHOWN BY JEFFREY SHAW] Jeffrey Shaw: Yeah. In fact one can want to being a challenge to the other. Right? Because often people who are very self-centered, purpose driven in their work, they’re challenged by the business side. You know, I bet a lot of your counselors feel that way, and again my root being a photographer, when I became a coach, I initially coached a lot of other [00:06:55.23], photographers and artists. Now, it’s much broader than that. But a common denominator for a lot of people is that they often will say I am not good at the business side. Jeffrey Shaw: They don’t even say I don’t like the business side. The common phrase is, oh, I’m not good at the business side. Right? So I bet a lot of your counselors are kind of challenged that as well, like they know they have got a gift. They know they have a skill set. They know they have something to really offer to transform people’s lives and you know where they are struck they might feel like I don’t have… you know, I’m not good at the business side. Joe Sanok: Yeah. Where does that… you know, we have artists, photographers, therapists, people that have big hearts and are more maybe on the right brain side often times. Where do you think that comes from where people just go to , I am just not good at the business side? Jeffrey Shaw: Well, 100 percent it comes from the world around us. It comes because we are the outliers, we are the… you know, if you were to go to my main website, jeffreyshaw.com, there is a standout statement on there that says, has I identify myself as the freedom fighter for the uncommon entrepreneur meaning that’s my mission. Right? Because when we are doing something uncommon, we are not selling a commodity, we are not selling groceries. What we are doing is something uncommon – we’re coaches, counselors, practitioners of any kind, massage therapists, chiropractors – we are doing something little out of ordinary, it actually takes an entirely different way of doing than being in business. But we are surrounded with a world that does business in a very typical way, which is why people say I’m not good at the business side. The fact of the matter is when you’re soul-centered, heart-centered, purpose-driven, the world is actually waiting for your style of doing business. [00:08:35.15] reason why people feel like they are not good at it is because they are trying to do in a way that is not in line with who they are. Joe Sanok: Yeah, and I totally agree with that. Whether it’s the book “Play Bigger,” “Blue Ocean Strategy,” any of those. It seems like when people look to the individuals that they are competing against in their mind that they just become just another version of what’s already happen, whereas the people that are creative they have big hearts that really don’t feel like they can do business. I actually feel like that’s almost a superpower because they are then focused on the client. They are focused on the innovative ideas, you know the artistic-ness of their Facebook page. They just stand out compared to, you know, kind of the clip art version of business. Jeffrey Shaw: But again, traditional business calling them target market because energetically that’s how traditional business look at it, like who do I want to hit. Right. So what they have been doing is lining up this audience and it’s studying their statistics and their demographics and at best maybe their behavior. Well, I don’t think it’s enough anymore and I don’t think it’s the right way to being in business for your counselors and the people who are more purpose driven. So why I wrote Lingo. Lingo at the heart is about speaking the secret language of your ideal customer and to speak their secret language means to really understand what’s in their hearts [00:10:35.15] to speak their secret language is understand what makes them tick, how you can stay ahead of them and the result of that is what I identify is this feeling that people feel like you really get to them. And think that how important it is for a counselor. Like is really imperative for a patient, a client to feel like their counselor, therapist really gets them. I mean you have to be on the same page and speak the same lingo with your counselor. You have to. Like I have done of therapy. I can’t imagine feeling like you’re not speaking the same language to counselor. To be honest with you, Joe, I mean I switched to editors in the 11th hour writing this book. I mean we were three quarters of the way through and I switched to editors, and nothing wrong with her. But as we got further deeper and deeper into the book, how do I feel like she understood the language that I was otherwise trying to communicate. And it was hard decision, but ultimately I said, you know, I cannot put out a book about really getting one another when I feel like she is not really getting me. Joe Sanok: Right, right. So how do you… so I am imagining kind of what some people might feel as some push back to that idea that how do I get away from speaking someone’s Lingo just for the sake of sounding like what I think they want to hear versus authentically understanding where someone is coming from. Jeffrey Shaw: Mm. Such a great point. Oh, my gosh. You are spot on because when I was writing this book, pretty early in the book I made a point to my editor, said, you know, like here’s one of my concerns. My concern is that as we are talking about this level of depth of understanding people, I was afraid that some people might think it’s creepy or manipulative. [FIVE STEP PROCESS TO INCLUDING EMPATHY INTO MARKETING] Jeffrey Shaw: Right. That, you know, I want to study them so much that I can be ahead of that I wanted to get [00:12:25.09] out and saying like this isn’t about being manipulative or clever. It’s actually about empathy, and empathy I think is one of the greatest gifts we can give in any relationship, business or personal. To really have empathy for someone without judgment without assumption is imperative and it’s foundational to actually building a business and a practice around this idea of speaking someone’s language. It’s not that on a surface level trying to understand people, but with empathy, you are really putting yourself on your shoes. [First Step – Perspective] In Lingo I actually layout a five step process to oriented your business this way. Step number one is perspective. And it’s understanding the perspective of your ideal customer, your patient like really understanding their perspective. And here’s something I have come to know after, yeah, more than three decades in business that very often when we take on a leadership role – like counselor at the end of the day is a leader. And when we take on a leadership role, it’s very likely that we are not exactly in a same place that our patients are. Because if we were on the same places, then we’ll both be in a [00:13:36.04] standing together I might not be able to help them. Right? So there is a really good chance that as a counselor, therapist or leader, you’re at least a few steps ahead of those people you are serving. But their story is tucked into your story somewhere. Right? There is a part of your story that is in the story of your ideal customer which means you can have empathy for them. You may not be where they are now because you have gotten yourself out of it, but you can understand their pain. You can understand where they are coming from. You can be there or with them again. That’s empathy. Joe Sanok: Yeah. And I think it’s really important when we find those things that loosely connected to where someone’s at without comparing it or kind of saying, well, yeah, I have been through cancer through or I have done this too, but just say, oh, I get it. I understand what that loss is like, what that trauma is like. I have had experiences that are different, but I feel like I had similar experiences to that. There is something really powerful that happens when someone just feels understood. In that person, you may not be completely agreeing, you may not speak exactly the same language, but when they feel that perspective is there, I think that’s really powerful within the therapeutic relationship. Jeffrey Shaw: Yeah and it’s something as I am sure your community would understand as something else I referred to in the book is about the difference to acknowledged need and deeper need. Like [00:14:59.27] whether it is a transaction of business and service or it’s a therapy, people only know to ask for what they think they need. That’s the acknowledged need. Most of us go to therapy or go to a counselor and say this is what I need. This is what I need to get over. It’s the deeper need. It’s what the therapist, the counselor or even the entrepreneur knows that the customer really needs. But the customer doesn’t know to ask or the patient doesn’t know to ask for that. Joe Sanok: Oh, yeah. And I think that as therapist, as we start to kind of peel back the oni0n, we start to see more and more of which needs are more pronounced and which ones aren’t. Jeffrey Shaw: Right. But as I said they don’t know to ask for that. Right? We come for… look people often ask for what they ask for. They go to therapy and they ask for you know the result they want. Jeffrey Shaw: Exactly, but they don’t know to ask for that. Joe Sanok: [00:15:53.28] they can fight [00:15:54.23] that person saying they are going to leave and always worrying about whatever the situation is. [00:16:00.16] five different points within Lingo. The first is perspective. What are the other ones? Joe Sanok: We got it down. [Second Step – Familiarity] Jeffrey Shaw: Yeah. They understand the need to know the person. You want to serve their perspective. But the second is familiarity. Familiarity creates comfort. So, in the marketing of your practice, in order to [00:17:07.14] and that’s the goal here. Now let’s keep in mind here the goal of Lingo is as a business modality is for practitioners, business owners to only work with their ideal customer, and the reason that it’s important is because I want to encourage people to create their highest value, that I want your therapist and your counselors to be able to do their best work. The way we do our best work is to work with people who we are meant to work with. You just simply can’t create our greatest value in another’s people’s lives. And I know this as a coach too. Like again as a coach I try to make sure I am only working… in fact I do… I only work with my ideal customers, because I want to make sure that I can create them a most amazing value for them because that’s the impact I want to have plus. Hey, they are going to be happy and get good results that I can tell lot of people. So this idea of familiarity is in order to market your practice to let your ideal customer know that you exist. You want to create an atmosphere that is already familiar to them, what already [00:18:11.04] because familiarity creates comfort and people are drawn to comfort. It’s my comfort food is what it is [LAUGH]. We are drawn to the memories that create because you want to understand what is the environment, what is the language, what is the systems or [00:18:25.15] need to be in place to make your ideal patient, if you will, feel familiar to working with you. Joe Sanok: Yeah, and I think that when people have that comfort they are willing to get more vulnerable in their therapy quicker. Joe Sanok: And so that often are therapeutic outcomes just move forward quicker and I think about even if someone doesn’t agree with how I eat or they don’t understand it, and they see me, show up with a green smoothie a therapy session, at least if they show some interest or you’ll tell me about that or being able to understand perspectives and have that familiarity is so important. Jeffrey Shaw: Yeah, and I think it’s interesting thing to think about in your industry because there is a comfort and familiarity with, you know, going to someone’s office if it’s a face to face interaction. Right? There’s a certain familiarity that some offices might feel versus another. But it’s also true if you think about today’s technology. Right? I mean someone’s ideal customer may not be comfortable, they are may not be familiar to them to have such in-depth conversations over the ph0ne or via Skype. I mean my therapist is in Ireland and we Skype because that’s very familiar to me. I spend all day online, you know. I always Skype and doing the podcast. So that’s a [00:19:44.29] I don’t need. That’s actually more familiar to me than getting in my car and driving to an office. Joe Sanok: Right, right. So that’s we’re understanding our ideal client and we see that especially with millennial the idea of texting for appointments or doing online sessions. And really the whole feel is adapting and not even catching up because so many of the laws stand in the way of interstate counseling and all that. But we know that the next generation is craving and asking for that because we see, you know, businesses already leading in that direction. And so yeah, you’re spot on with that familiarity. What about step three? [Third Step – Style] Jeffrey Shaw: Step three is style, which is the style whether it’s your therapy style, but even the visual style. Let’s face raw marketing ourselves online. Right? So is the style of your website does it resonate with your ideal customer? Like you are saying about the smoothie. I think that’s a great example. Right? If your ideal customer is someone who is kind of a soulful, a seeker in that way, then you want the style of your website, your presentation, even your style of therapy. You want to kind of match that. [START EDITING HERE 00:20:57.19] My style as a business coach, my own podcast Creative Warriors, we identify, in fact it’s even the tagline on my podcast says, “Business with a Soul.” So when I’m [00:21:11.08] keynotes [00:21:13.02] the visual impact of my keynotes, it’s they are little woo, woo. Right? There is a little spirituality in it. What I am saying or what I am teaching might be very linear and strategic in business what I do in a soulful way. Because what the result of that is the people that come up to me, and I mean my ideal customer, those that step up to me, totally get that part of it. They are not just looking for me the silver bullet. I am not a silver bullet coach. Like I don’t want to attract that person. I don’t want to attract the person as like, “give me the 1-2-3 formula.” That’s not my idea customer. S0 I make sure I add spirituality into everything I do, so that as a style perspective I want [00:21:54.13] drawing forward the people that like to do us little soul searching and succeed in business. Joe Sanok: Yeah. And I think that so many times, people just throw little effort into a website and maybe they add certain filter over some pictures and that’s fine, but I feel like that style has to be integrated into everything you do whether it’s a Facebook live or the posts you do or the blog posts or the way that you present yourself in public that all of that style needs to be authentically you, but also integrated. And just changing up the theme of your website isn’t going to do it. It’s needs to be that you genuinely believe that you as a person in all of your quirks is better than some whitewashed version of yourselves. Jeffrey Shaw: There’s little touches. Joe Sanok: Especially in the therapy world, they get so worried about self disclosure and of course there’s an inappropriate ways to do this. But, usually your inclination to not disclose as a therapist publically is a little too hyper vigilant. And so letting people know what you are into, having that playful side come out. I think it’s so important to have you be an authentic genuine different looking business. Jeffrey Shaw: Oh, man, you know I have always said everything that makes me really good in business as worth against me in my personal life [00:24:14.29]. I happen to be in a really good relationship right now, but I have my history. Trust me. So whenever I was looking for, I would ultimately wound up with someone that really adored as far as relationship counseling. But when I was looking for a counsel for relationships, one of the first thing I ask is I want to know what string of relationships they had had been through, and in fact had they only the married ones? Like for me, I wanted to work with a counsel that I knew had been married, divorced, maybe even more than once and that was okay with me. Right? So for me, I wanted to know that the relationship counseling that I was seeking, I wanted to know if that person had been through the trenches -the ups and downs of relationships. I don’t know that it would have worked for me as well if someone had such a stable relationship – they had been married for 50 years. Jeffrey Shaw: Right? That’s me. Right? So I would like to know that. Like to me if that’s something new, and I know it’s a fine line in your industry about how and what you can disclose. But I actually would want to know that, like when I am seeking out a counselor I would want to know a little bit about the relationship history. And you know without shame because actually to me I find that attractive. I’m like, okay this is the counselor for me. This is someone who knows what it means to love and lose. Joe Sanok: Right. Right. Wow. So perspective, familiarity, style. I feel like we get end right there, but we still got two more. What’s the next one? [Fourth Step – Price] Jeffrey Shaw: Well the next one is Price, which is kind of interesting for your audience because you know what I worked with so many entrepreneurs. The pricing psychology has a tremendous amount of impact how you price things. But I think it applies a lot to practitioners as well because I think one of the most harmful things you can do is to not charge enough. Jeffrey Shaw: I think that again goes right back to what we’re saying earlier about people not being good at the business side. So the result of that as they pull back and they don’t charge enough. And you know what we know as consumers or sellers of something isn’t, isn’t priced high enough, we often assume it’s not good or poor quality. It’s crazy because we don’t often realize this, but we want people to identify their self-worth. So I actually want to work with a therapist or counselor and I think a lot of us do who is so comfortable to self-worth they are willing to name their price. Jeffrey Shaw: You are a 100 percent right. Jeffrey Shaw: Oh, my gosh I’m so glad you said that. I often said to people, like, you have to know what your – excuse the term – but you have to know what your pissed-off amount is. Jeffrey Shaw: it’s imperative that you know what amount of money you feel like you’re being ripped off, that makes you angry. You have to know that amount because you have to stay above that. If you go below that, you are resentful and that energy of resentment is not productive. Jeffrey Shaw: Yeah. I love what you also just [00:28:03.03] the phrase I used in the book Lingo is pricing creates perception and this is what I want people to write [00:28:11.08] pricing creates perception. So whatever perception you want to… if you want to give people the perception that you don’t value yourself, then hey, keep your prices low. But if you really want to serve people and change their lives, then you want to give the perception that I am well qualified, highly educated. I know my stuff and you are going to pay for it. That’s the perception you want to give. Joe Sanok: Well, I think it tends to [00:28:35.23] I see that a lot of counselors and consultants will… they’ll have their counseling practice. They may start some consulting and then they will also start something on their side like a mastermind group or some passive income, and as one starts to grow it then fuels the others. So if you raise your price in counseling, well, then you probably will raise your price in consulting and then if those start to get going, then it’s easier for you to say for these another products. It’s only worth of it for me to show up at a mastermind group if I am making this much, and then all kind of start to fuel each other. And even if initially you felt like am I really worth it, when people start to pay it, when you actually start to see value and people say, you know what, the ROI in this was ten times what I paid. I would have paid four times as much or ten times as much. It’s almost like you have to convince yourself more than you have to convince other people. Jeffrey Shaw: Right. And I think the other part of pricing too is actually how you package it together if you will. So a class of mistake a lot of coaches make – and I don’t know if it’s true as counselors, although I’ve worked with lot of counselors that work on a pre-session basis. When I first got out of a coaching school, I was working I think on a month-to-month basis, you know. It’s 400 bucks a month or something for three phone calls, and it was month-to-month. But I got into the practice of coaching I realize that to really serve people you know as a therapist and a counselor and a coach that you’re going to hit some buttons. I mean that’s the point. Right? You are going to hit some sensitive areas of people. You don’t want to let them walk away from themselves at that point. So I went from a month-to-month practice to eventually to six months. People have to take a six month contract. But I didn’t even stay with that very long. I almost immediately went to one year. Because here’s what I found out that six month of… again business development is little different, but I found that six months into developing someone’s business was exactly when they hated me the most. [LAUGH] The reason is they have spent a fair amount of money at that point. They did a lot of work and now they are tapping their fingers on the desk and saying, okay, where are the results? Why isn’t the business coming yet? And I’m like because the universe hasn’t caught up to you yet. Like you made all the changes. We built the business, but hey, we now have to market it and people have to see you differently or see your business even exists. That might take another four to six months and then you’ll see the results. So I realized that very sensitive time was the last… that was the worst time to give people an option. For me, it was six months. It was the worst time to give people an option to walk away from themselves. So part of pricing also is to identify what really… you know, term I often use with my clients is there’s difference between service and accommodating. You know, there’s difference between serving people and accommodating them because when you just accommodate them, you can very easily let people walk away from themselves, but to be in service to somebody is to hold them into the commitment to the improvement that they came to you for in the first place. Joe Sanok: So tell me more about, like what does that look like? Jeffrey Shaw: In its specific form as far as term? Jeffrey Shaw: Well, like a set for me, someone who reaches out to me for coaching, it’s a one-year commitment, but now in the one year I can structure it differently. There are… what I am finding more and more people, they want to get results quicker, sooner than later. So what we do is we really front [00:31:51.01] over… the first six months, we speak every single week. So we are working on a lot of business stuff at a more rapid pace and then the second six months we speak one to two times a month. It’s more of an accountability. Jeffrey Shaw: But the other people, you know, I kind of, again ideal customer. But even within your ideal customer, there are nuances to their secret language. So like you know, French and France is very different than French and Quebec. There is nuances to the language. So my ideal customer, some of them more often now a days, they want to get to the results quick. Other people – you know, I guide them too. I mean after I speak with them I can say, you know, I think what’s best for you is kind of slow and steady pace. So let’s speak three times a month for a year. Joe Sanok: I feel like I have heard of it. Tell me about it. Jeffrey Shaw: They don’t sleep. Joe Sanok: I have seen that even in consulting that when people come in with a specific project, like going from a solo practice to a group practice that we can achieve that in six months. But with my next level mastermind grou0 that’s people that are just under six figures all the way up to million dollar practices, that’s a one year commitment. We are doing twice a month mastermind groups. We have a in-person one-week Slow Down School here in Northern Michigan. Lot of extra support. So I think it’s knowing what’s the outcome that somebody wants and as the expert how do you do your best to ensure that they are going to get that outcome. And for some people that might be three sessions, for other people that might be two years. And so that’s where I think clinicians are able to take your concepts and then apply it to their specific situation. Jeffrey Shaw: I got to agree a 100 percent. Like it’s not so important that what the length of time is. What’s important is that you know what [00:36:55.08]. That’s what I mean by the difference between service and accommodating, because I might accommodate them to be done in a certain period of time. But to be into service to them, you know that they need to get on the other side of where they are likely to walk away. Right? Whatever point it is, that they want to give up on the process, walk away from the work. You want to make sure you get them on the other side. So to be in full service of them, you have to hold them to a commitment on the other side of that. It doesn’t really matter the length of time. It just matters that to be really be committed to serving them that you get them to the other side. Joe Sanok: Yeah, it sounds like really it’s commitment saying, hey, in my professional opinion you are going to get the results you are asking for in less than two months of therapy or two years of therapy. Now, so is that embedded within price or is that number five? [Fifth Step – Words] Jeffrey Shaw: No, that to me all under price and a lot of the psychology of how you put together your business. So the fifth actually is Words. And you can’t write a book called “Lingo,” and not talk about words. Jeffrey Shaw: You know it’s using the power of words again to attract your ideal customer. That’s really the goal here. Again, I just want to stress that the goal is for your counselors and therapists to work with the patients where they can have the greatest impact – life changing impact – because hey, that feels great and that’s what we are doing this for or doing it to create our greatest value. So you want to use the right words. If your ideal patient is a millennial, for example, you know that’s a very different language than speaking to a boomer. Jeffrey Shaw: Exactly. “Were you just blindsided by a divorce.” Exactly. That’s a great example. Right? What’s that going to do. That’s going to call for your ideal customer, the ideal patient if you will, who just experienced that. Somebody who wasn’t blindsided by divorce wouldn’t relate to that. Joe Sanok: Mm-hmm. But I think also what happens is someone that maybe wasn’t blindsided by divorce but still just got a divorce may even say to themselves, “Well, if she can handle ‘blindsided by a divorce’ [00:42:38.07], she could probably handle terrible marriages also,” and maybe she could also help with all these other things. So people I think often make those assumptions based on a specialty. Well, if they are awesome at that, then they are probably pretty good at some other things too. Jeffrey Shaw: Right. And that’s exactly [00:42:54.18] and that is what the power of the new niche [00:42:57.23] expansive mindset. Now, we are talking about more people that can use your area of expertise. Your job meaning speaking directly to your counselors and therapists, your job is to make your area of expertise clear. You can’t just say I am a therapist, counselor, like to make a not just “I am the counselor of…” and identify the audience. Like really make your area of expertise clear that I am particularly good at helping people whose lives take a sudden left turn. Jeffrey Shaw: Right. Because then people will start identifying like you said if she can handle that, they can handle my situation. [CONCLUSION] Joe Sanok: Absolutely. Well, Jeffrey, my last question that I ask everybody is if every private practice owner in the world were listening right now, what would you want them to know? Jeffrey Shaw: My phone number… no, I am kidding. Jeffrey Shaw: I would want them to know that their ideal customer, their patient, their ideal patient is already out there waiting for them to show up. You know, I feel like a lot of times when we start a practice, first of all I would say, almost every practice and every business is starting backwards. Right, we start the business and the practices that we want to create and then we spend the rest of our days trying to hunt down people to fit into that practice. And what I like to flip around is to imagine your ideal patients, the people that you can best serve are already out there waiting for you to show up. Your job is to identify what your clear, unique, way of serving them is and then build a brand image, a marketing plan and a practice that speaks their secret language. That’s how you show up for them. Joe Sanok: Awesome. Well, Jeffrey Shaw, what’s the best way for people to connect with you if they want to hear more about your work, read your book, really just learn from you more? Jeffrey Shaw: …yeah, it’s so really cool and I will tell you what’s in it in a second, but they can get it at www.jeffreyshaw.com/practice. So and that LINGO Media Kit actually is a info graphic of the five steps of the secret language. So the steps that we went over pretty quickly, they can actually have a visual representation of it, with a little more explanation. It’s a free chapter of the book, which is the chapter on perspective, the most important chapter in the book. So we actually give that one away for free. There’s also an audio version of that free chapter which has additional story telling in it, additional content, even sound effects in it, like it’s a totally unique audio of the book. Jeffrey Shaw: So yeah, we put together this whole LINGO Media Kit again at www.jeffreyshaw.com/practice. Joe Sanok: Wow, that is amazing. That’s a great gift to the audience. I really appreciate you giving that away. If you are in the car, if you are running, if you are doing something where you can’t write that down, you can always head on over to www.practiceofthepractice.com. Jeffrey’s episode is going to be right on the main page and if you listen to this in the future when we have flying cars and hoverboards, just click on, listen to the podcast and it will take you there. You can scroll through and find Jeffrey’s episode. 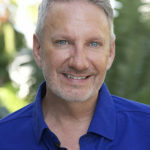 Jeffrey Shaw, thanks so much for being on the Practice of the Practice Podcast. Jeffrey Shaw: Thank you. Really my pleasure Joe. Thanks for having me. Next week on the show, we have Dr. Angela Johnson. Let’s hear a clip from that interview. Joe Sanok: Well, thanks so much for letting me into your ears and into your brain. If you are starting a practice, join our email course over at www.practiceofthepractice.com/start and if you are growing and scaling a practice, head on over to www.practiceofthepractice.com/grow. Talk to you soon. Bye.